Third party relationships are critical to your company’s success, inseparable from your company’s reputation and bottom line. Third parties – “vendors” and “non-vendors” – are embedded in every aspect of your company’s operations, products and services, and customer relationships. 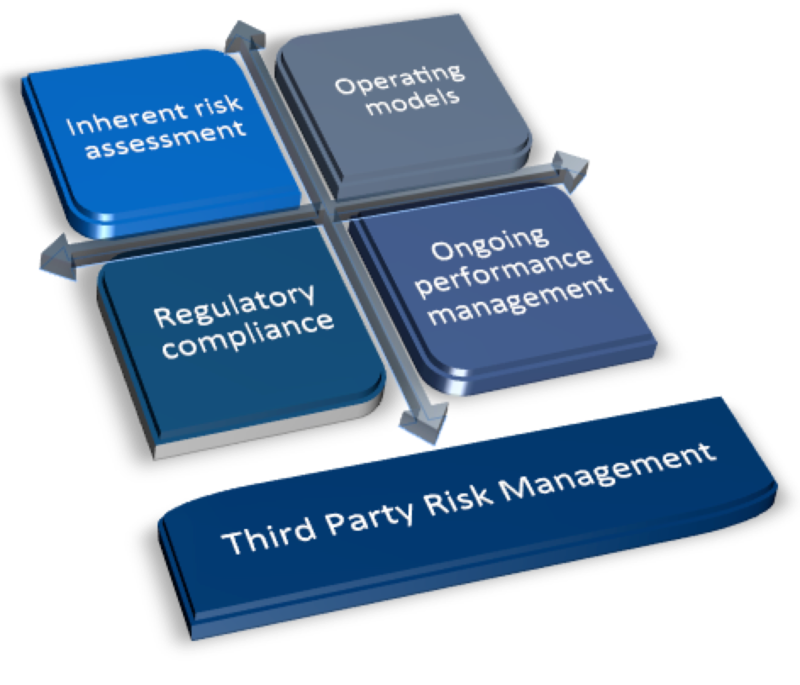 Effective and efficient third party risk management is not an option. Linda Tuck Chapman and her associates bring a unique combination of insight, best practices, and experience. Our expert advisory services and rapid deployment can help your company create a new third party risk management program, strengthen existing practices and controls, or benchmark your current program against best practices. Expertise and proven strategies drive enterprise value. Our hands-on experience and Ontala’s adaptable frameworks, processes and tools ensure you get the job done, quickly delivering results. External threats and risk events are relentless. Customers and shareholders don’t differentiate the source – whether it’s bad actors, deficiencies in critical third party’s operations, or as a result of weak controls. Your company’s reputation and bottom line are the ones that suffer. Linda Tuck Chapman and associates specialize in Third Party risk management. Our pragmatic methodologies are built on experience as trusted advisors and former corporate executives, market leading expertise, and best practices. Our hands-on experience in third party risk management and procurement means that you can address the entire lifecycle of critical third party relationships, from risk identification, selection and due diligence, management and monitoring, contingency planning, and orderly exit. We consistently deliver thought leadership, best practices and market leading expertise. We work with financial institutions, fintechs and outsourcers in multiple geographies, ensuring legal and regulatory compliance and driving enterprise value. As experienced subject matter experts, we bring insight into the most current practices and challenges from across the sector. We can help your company achieve measurable rewards from effective third party management throughout the lifecycle of relationships.